AUSTIN, TX--(Marketwired - Jun 17, 2015) - EmployerDirect Healthcare, a leader in value-based healthcare for large employers with self-funded medical plans, is pleased to announce that Shane Foss has been appointed as the company's Chief Operating Officer. Mr. Foss brings 24 years of healthcare experience to his new role, where he will lead EmployerDirect's Provider Network and Care Coordinator teams. Prior to joining EmployerDirect, Mr. Foss was the Chief Commercial Officer at ProNerve, Inc., the nation's leading intraoperative neuromonitoring surgical provider. He was also President of Zimmer Alliance, which is the exclusive distributor of Zimmer orthopedic products. In addition, Mr. Foss was Vice President of Sales and Marketing at Avalign Technologies Inc. and General Manager at Stryker Orthopedics. Since 2003, Mr. Foss has also volunteered as an Orthopedic Surgical Technician, Implant Donor and Operating Room Coordinator, and was recently appointed a board member for Faith in Practice, a non-profit organization that provides medical and surgical care for the poor in Guatemala. 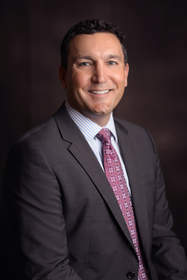 He holds an MBA from Rice University's Jones School of Business, a Bachelor of Science degree in biology from the University of the Incarnate Word, and a Surgical Technologist Certificate from the United States Air Force. "Throughout his career, Shane has helped teams recognize their unique capabilities to become more valuable contributors to their organizations," said Clint Hampton, CEO of EmployerDirect. "We look forward to his leadership as we continue to make rapid progress toward our provider and membership goals." "EmployerDirect has a dedicated group of professionals on its Provider Network and Care Coordinator teams that impact people's lives every day," said Mr. Foss. "I'm excited about working with them to secure additional provider contracts and further enhance our members' experiences through continuous improvement and development of our people." EmployerDirect's supplemental benefit, SurgeryPlus, transforms the way self-insured employers provide and pay for planned medical procedures for their employees, saving 30-50 percent per procedure. With a nationwide network of board certified surgeons and high quality facilities, SurgeryPlus covers over 100 procedures with pre-negotiated bundled rates consolidating all costs for each episode of care. Dedicated Care Coordinators personally assist covered members with scheduling procedures by selecting a provider, transferring medical records, coordinating any travel logistics and guiding the member through the entire continuum of care. SurgeryPlus members do not pay an additional premium for the benefit and members do not receive medical bills for procedures. For more information about EmployerDirect, please visit www.edhc.com or call (888)241-8537. EmployerDirect Healthcare, a leader in value-based healthcare for large employers with self-funded medical plans, is pleased to announce that Shane Foss has been appointed as the company’s Chief Operating Officer.